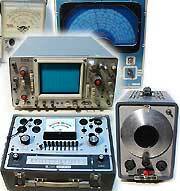 Hi all, since this item isn't a radio, or piece of test equipment, I thought it best to put it in this group. Here in Nova Scotia, we have a franchise of stores called Frenchy's. While it deals mostly with used or new clothing that would be classed as seconds, they also have items like one would find in a dollar store as well. With most items, they are all dumped into bins that folks just go through in hopes of finding something that suits them. One bin I always go through is the 'Odds & Ends' bin. Here you find just about anything from toys, handbags, laptop cases, who knows what. Over the years, I have picked up a number of decent wall warts in the 1 to 1.5 amp range for the usual price of tween 25 cents to $1.95. Most of them are the older type with actual transformers inside too. Yesterday, my partner and I were at one of the local ones so she could find a couple of books she saw there earlier. So, while she did her thing, I went to my favorite bin. After fishing through to the bottom of the bin to see what might be buried that others might have missed or didn't know what it was they were looking at, I came across my big find........ A TI-89 Titanium Graphing Calculator. It looked to be in great shape and while the sticker on the item said it worked, I had no way of knowing for sure, but I said what the hell, I'll take a chance. Got it home, popped 3 triple A's into it and it's working great. I was able to plug it into my computer, download an app from the TI site, and download the manual for it. I'm gonna play with it for a bit, but to be honest, this thing is way overkill for what I do with calculators, so I may sell it down the road unless I can think of some radio uses for it later on. My total price for this, was $2.49 plus tax for a grand total of $2.86. I am quite pleased with my day.